On YouTube, compilation videos about “motivation” are really popular. When you first hear a rousing speech asking, “How bad do you want it?” paired with inspiring workout footage… you get all pumped to crush the day. After several repeats of that video, the effect wears off, and you have to search for new inspirational videos. Each one motivates you for a few days until the effect wears off, and you begin your search again. The lesson many take away from this is that motivation is over-rated. I somewhat agree. Motivation and your lack of motivation can be important gateways to greater self-understanding and self-mastery. We’re all motivated to do something, even if it’s just lounging around or watching the latest episode of Game of Thrones. The problem isn’t motivation, per se. It’s figuring out WHY you’re not motivated. THAT is the key to self-mastery. The long-term solution is NOT just beating yourself up and forcing yourself to do it anyway. The long-term solution is also NOT simply in setting up habits and disciplining yourself to follow through on the habits like a good soldier. Yes, the habits and discipline might finally get you to do the thing… but at the price of increased neurotic load, more psycho-somatic numbing and blindness, and the overall loss of greater self-understanding. 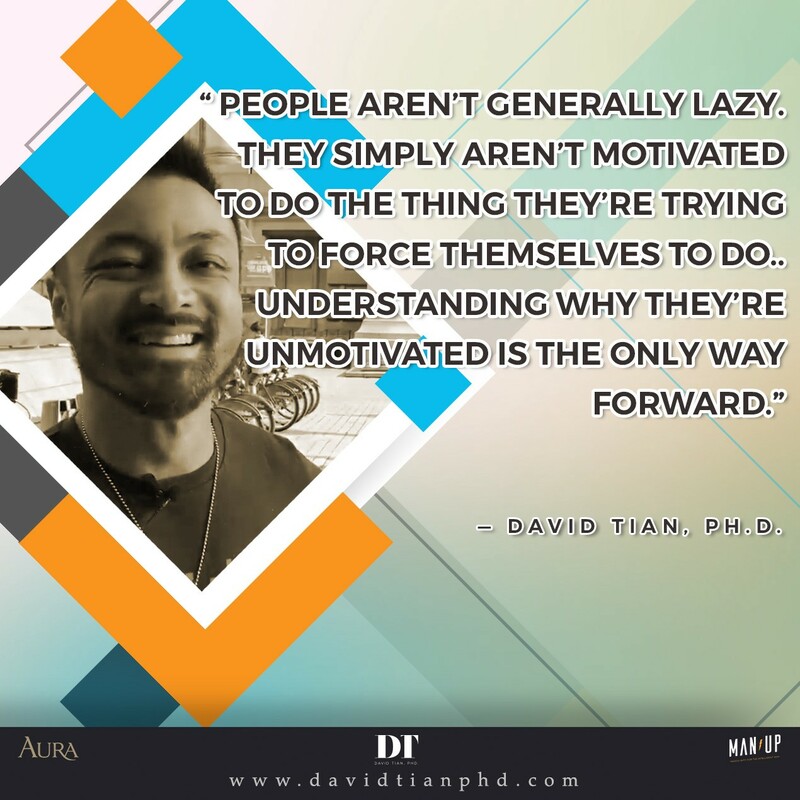 Often, the lack of motivation is a result of one of two things — either the thing is too easy and hence boring, or it’s too difficult or daunting. So the trick is to make it either more challenging or easier. Almost every time you’re struggling to get MOTIVATED to follow through with a RATIONAL goal, it’s because you perceive it as being either too hard or too easy. The way forward is understanding WHY you think it’s too hard or too easy. After that, it’s a simple matter of either breaking it down into smaller chunks (making it easier) or adding complexity to it (making it more challenging). Btw, the WHY question is always tougher and more rewarding than the HOW. This first appeared as a mini essay in philosophy on my blog here.